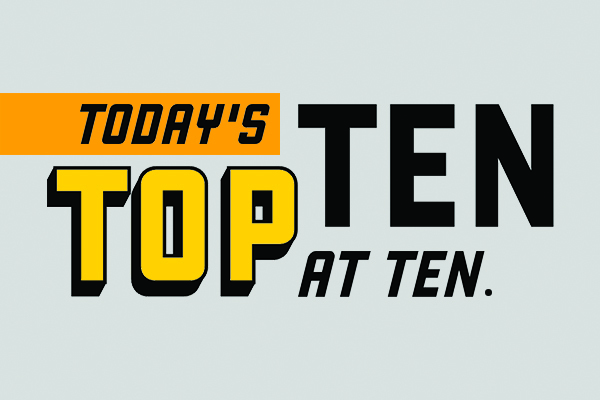 Today's Top 10 is a guest post from Sally Owen, Kate Preston, and Nathan Chappell, research analysts at the Motu  public policy and research institute. 1. The economics of gender and the invisible work force . If you are a cow, your milk is measured as part of GDP. If you are a breastfeeding mother, yours is not. Dr Julie Smith says that this is not the only example of the 'invisible' contribution many women make to the economy. Do the economics of gender come down to choice or inequality? This is just one of the excellent podcasts by Australian economists Gigi Foster and Peter Martin, which are all well-worth a listen. 2. The nation that thrived by ‘nudging’ its population . Singapore has recently embraced Nobel-prize winning nudge theory to improve the lives of its citizens. A ‘nudge’ is a subtle change in the environment that encourages a certain behaviour, such as healthy eating, without removing choices. Singapore has historically used similar techniques, ranging from the subtle nudge (placing rubbish bins away from bus stops to separate smokers) to big shoves (forced savings programmes). Evidence clearly shows that nudging is effective – but are people happy with these developments? As discussed in the article, the limited research suggests  that people in liberal democracies are happy being influenced when it aligns with their values and interests. An interesting take on capitalism and "economic freedom", discussing the case of Singapore. To steal words from the author Matt Breunig: "Is capitalism primarily about markets or private ownership? Relatedly, is socialism primarily about ending markets or promoting collective ownership?" 4. The 2018 World Happiness Report . This report ranks New Zealand in 8th place for happiness (the same placing as last year). Most of this year’s report focuses on the interactions of wellbeing with migration (New Zealand was ranked as the second most accepting country of immigrants, closely behind Iceland). But the final chapter of the report  by Jeffery Sachs is dedicated to the Easterlin Paradox, which is much more striking in the US than in other countries. That is, happiness in the US is stagnant or declining even though income continues to grow. Sachs points to obesity, substance abuse and depression as potential drivers of this phenomenon. Measures of public health in the US have not improved as much as in other high-income countries and have even declined in recent periods. Five hypotheses as to why the US is suffering these health epidemics are provided: high levels of inequality and poverty in the population; the interrelation of these problems amongst themselves (the pathways from each of obesity and substance to depression and vice versa); the high cost of healthcare; corporate deregulation (fingers are pointed at the fast-food industry and pharmaceutical companies); and the rise of social media and increasing time spent by individuals in front of screens. 5. This New MIT Master's Program Doesn't Require A College Or High School Degree . MIT is revolutionising the way post graduate university applicants are chosen. The current entry system is flawed in that, “if you come from the University of the Middle of Nowhere, we have no way to judge the quality of your application”. So, in a revolutionary move, MIT is letting students take online courses for credit, with no requirement of a degree or high school diploma. Then, if they perform well on exams, those students can apply for a master's degree program on campus, at a significantly lower cost to usual. Poverty Action Lab's Ester Duflo is involved, with their master's program in data, economics and development policy being offered as part of the scheme. In this article, Canadian academic Ron Srigley laments the takeover of universities by administrators, both in terms of numbers and power. He argues there are four key symptoms of this takeover: the lack of critical thinking skills learnt by students; the steering of the curriculum away from liberal arts and pure science; the immunity of administrators to downsizing and questioning; and the exorbitant salaries of university presidents. You don’t have to agree with everything in this piece to feel troubled by the all-administration university. 7. An employee whose job was to be sacked . An oldie but a goodie. This anecdote suggests Harrods employed someone to pretend to be sacked to appease customers following major complaints. Who can predict what jobs companies' will be willing to pay for? 8. Saving souls, hurting bodies: Missions, health investments, and HIV prevalence in sub-Saharan Africa . In this article, Julia Cagé and Valeria Rueda report on their study into the long-term effects of Christian missions in sub-Saharan Africa on the prevalence of HIV. Christian missions helped bring Western medicine to this part of the world, but also transferred religious views around sexual behaviours. The study finds that regions closer to missions tend to have higher rates of HIV, except where the missions specifically invested in health, in which case the regions have relatively low HIV prevalence today. 9. A literal world map . A very cool map, giving the translation into English of every country name. This is for those word-nerds out there (there are a few at Motu). 10. Effects of retroactive prayer on hospital patients .